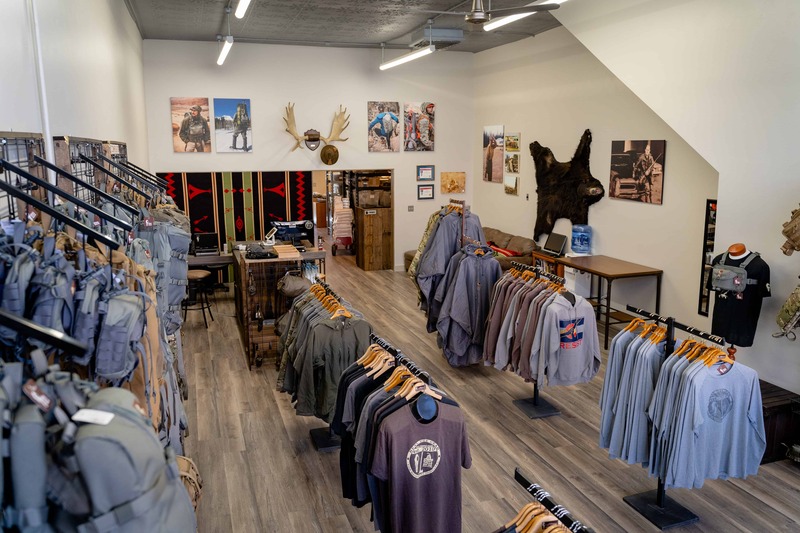 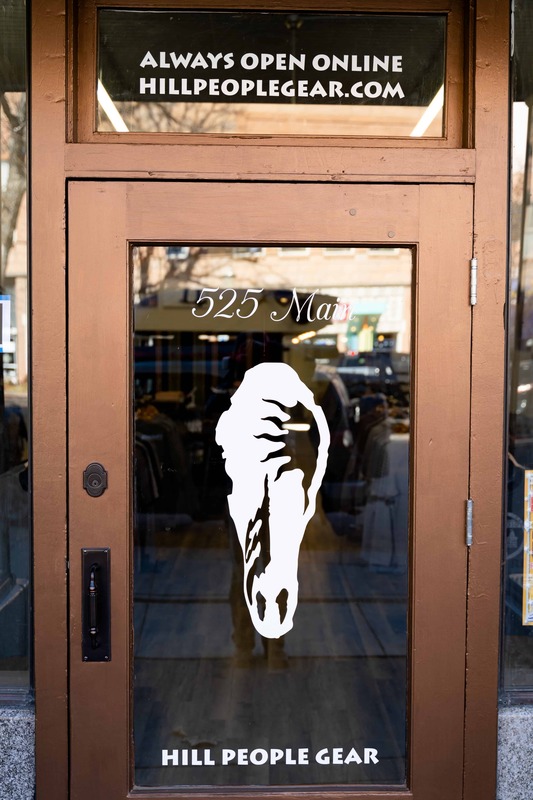 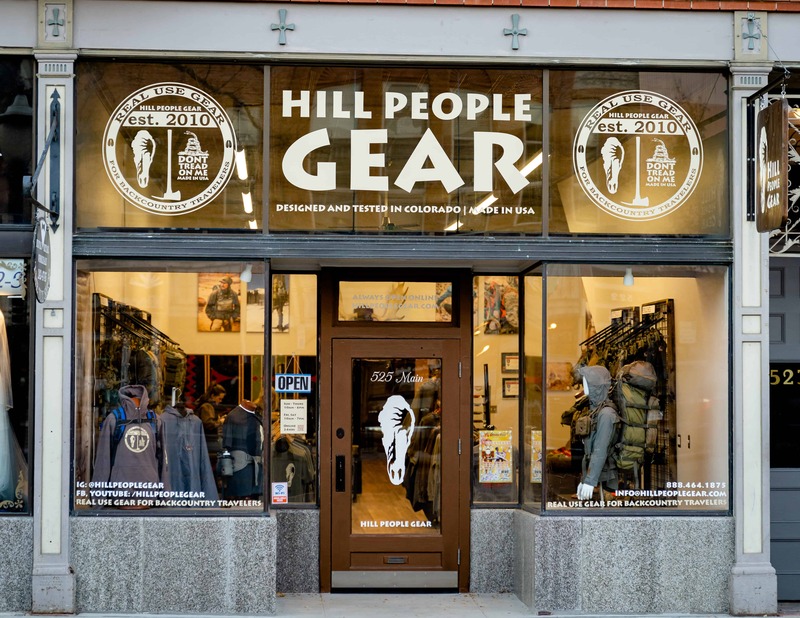 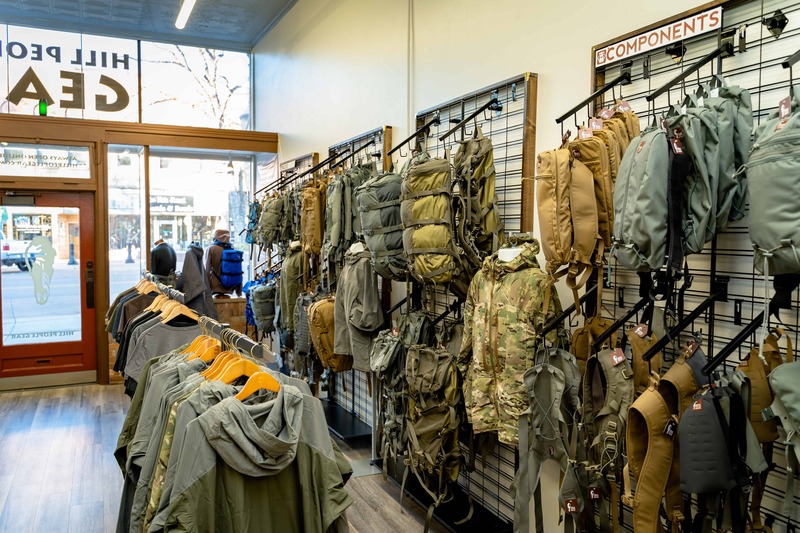 Hill People Gear’s flagship store stocks their full line of backpacks, chest packs, pouches, pack components, firearms accessories, and garments. 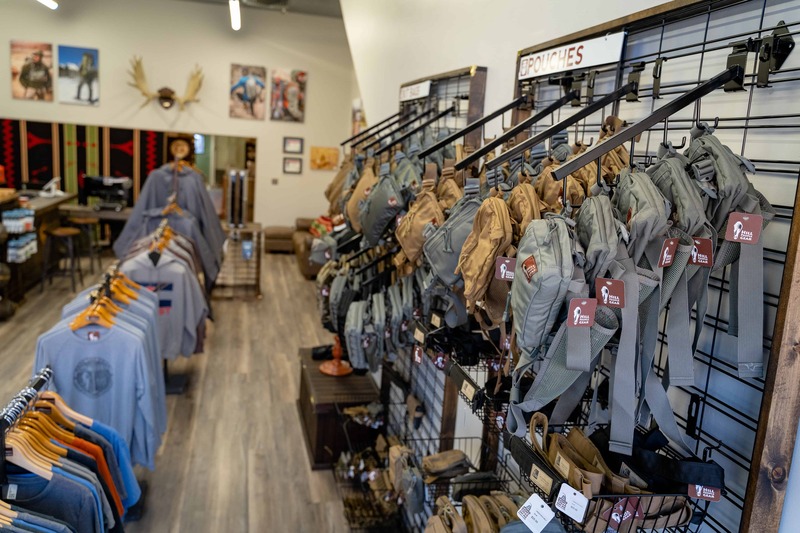 Also stocking products from SOLKOA Survival Systems (Colorado Springs), Dark Angel Medical (Monument), Randall’s Adventure Training / ESEE knives, and others. 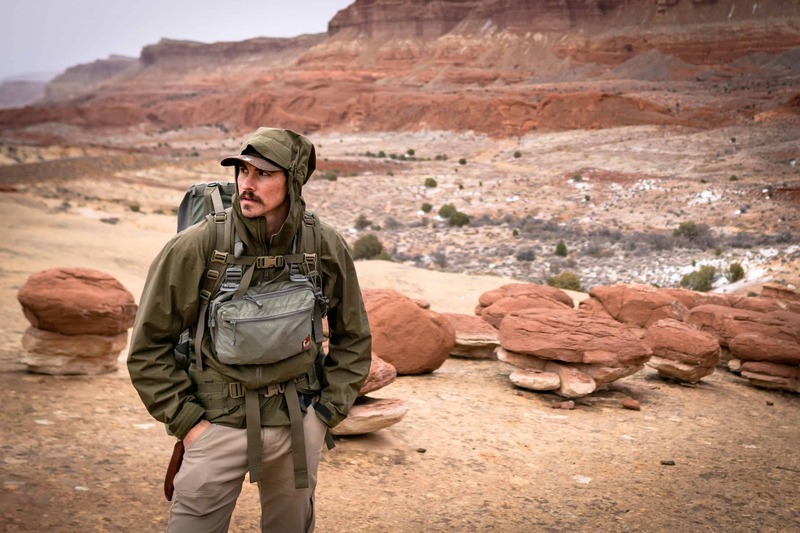 Specifications like empty pack weight, number of pockets, and weight capacity are nearly irrelevant when it comes to whether or not a piece of equipment will perform for you in the backcountry. 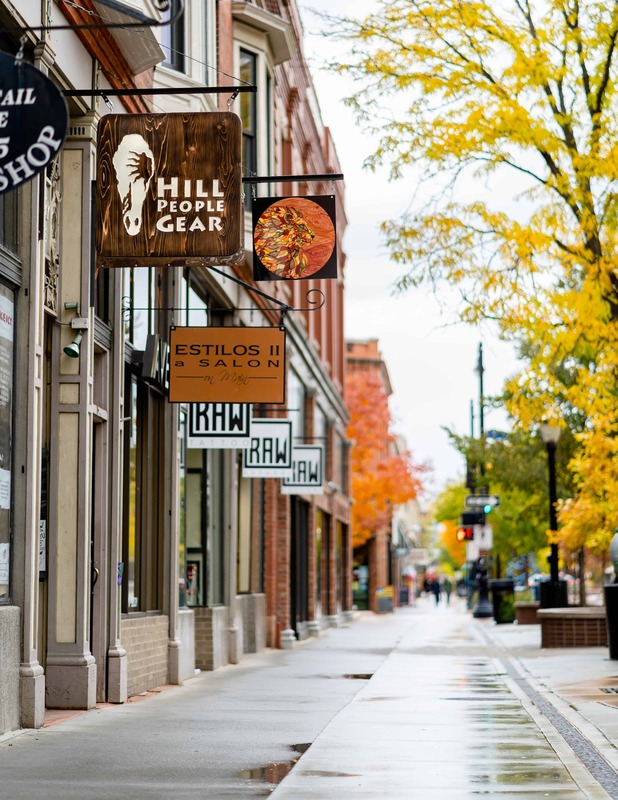 The real metric is efficiency — greatest functional return on least amount of effort. 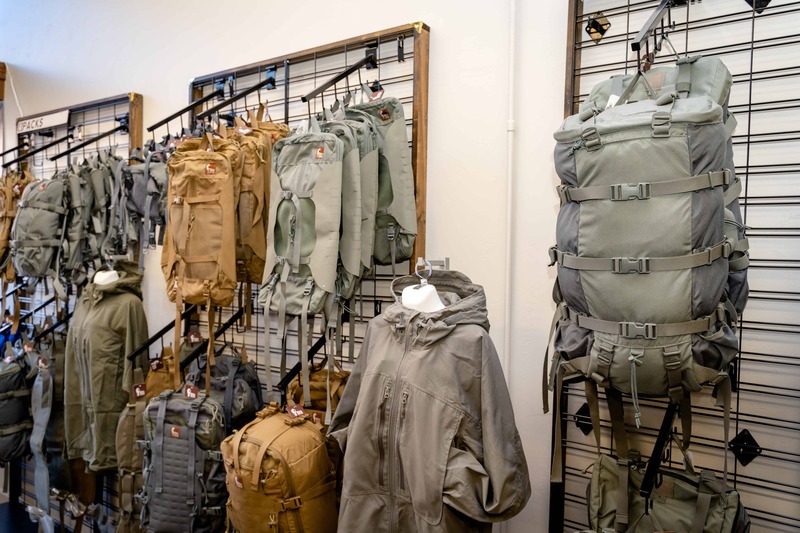 You don’t often hear about efficiency when it comes to outdoor gear design because it can’t be conceived in a studio and it doesn’t go into a retailers comparison chart. 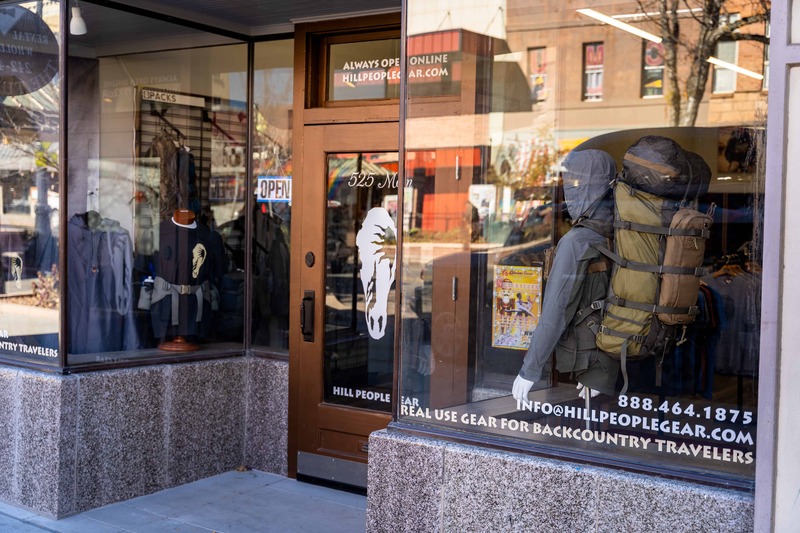 But efficiency is at the heart of what we do — at Hill People Gear, we build tools to solve or avoid problems that we’ve run into over years of backcountry travel, both for work and adventure.